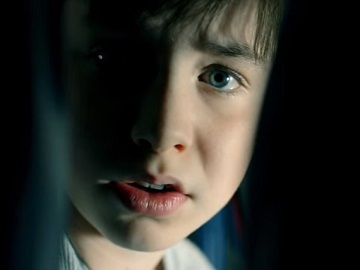 Delta Airlines encourages you to “help the unseen” in a new commercial, that tackles the issue of human trafficking. The 2-minute film features a young boy on a plane talking to the passenger sitting behind him and revealing some disturbing information. He starts by saying that his uncle will get mad he if hears the boy talking to someone, but a few moments later he says the man is not really his uncle. Viewers get to learn that the respective man says the kid is worth a lot, but he still won’t buy him any clothes that fit or any clothes really. He also mentions the place he’s been taken from, a place where he and other kids had to work all the time and they never got to eat or sleep, and that was “worse for the girls.” The boy also says he’s scared and that he doesn’t know what’s going to happen or how to get out. “I can’t say anything. I need you to do it for me,” the kid adds just before his “uncle” awakes. “If you see signs of human trafficking text HELP to BeFree. It’s not just a message. It’s an opportunity to save a life. At Delta, we’ve trained over 56,000 of our employees to recognize the signs of human trafficking. But, we need your help,” the voiceover says at the end of the video, which also sees an onscreen line urging viewers to text HELP to BeFree (233733) or call 888-373-7888.